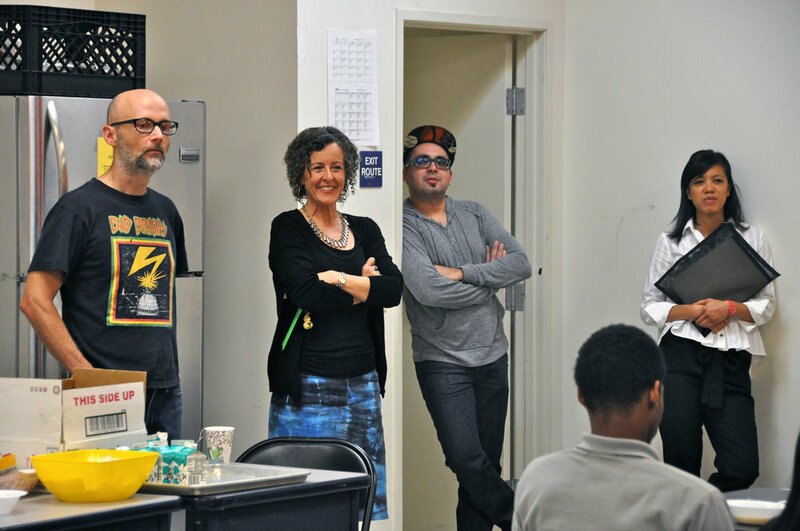 Singer, songwriter, DJ, and photographer Moby visited the Hollywood Media Arts Academy on April 9, 2015, and spoke with our students about his career, his inspirations, and his creative process! 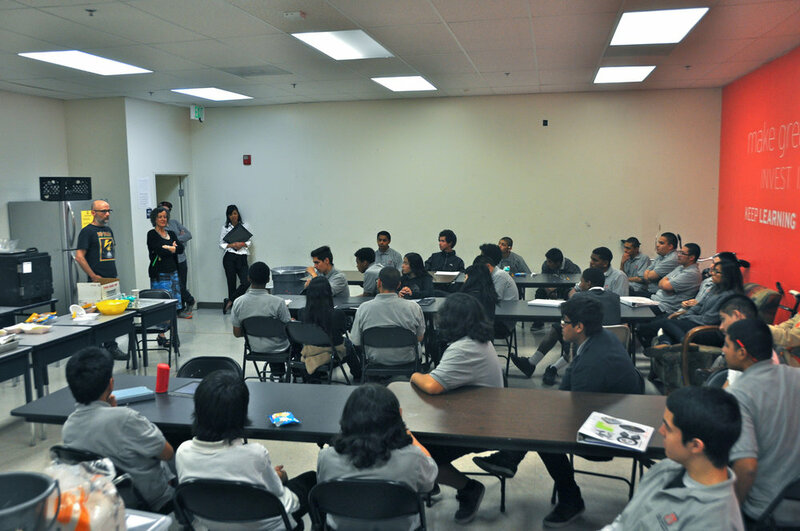 He also heard students share their passions, their interest in music, and how art is transforming their lives and keeping them engaged to achieve high school graduation. 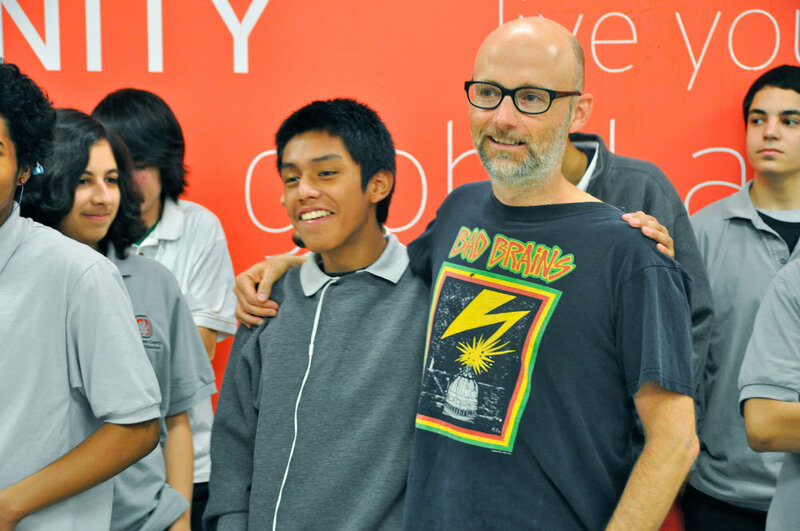 We are thrilled to be honoring Moby at our upcoming Gala on May 5, 2015. Thanks for coming to visit us Moby! Moby is internationally respected for his groundbreaking music, his insightful photography, and his support of independent filmmakers via his mobygratis.com website. 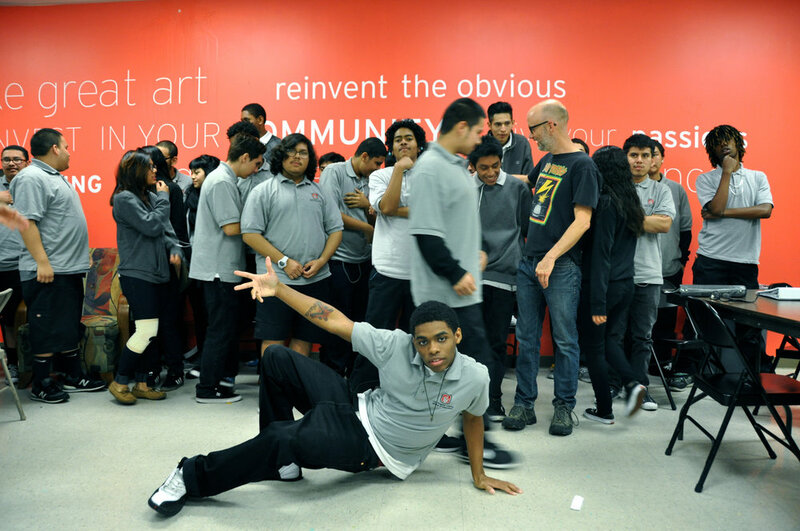 artworxLA celebrates his creative spirit and his support of our students as they voice their own creativity.